We wanted to thank our customers. We’re being true to our mission of giving access to retail investors. Readers that know about me know that I avoid purchasing individual stocks. I made an exception for the IPO given the unique opportunity. Although, I don’t claim to be an expert in analysis of companies, I was feeling confident that the stock surely wouldn’t flop. 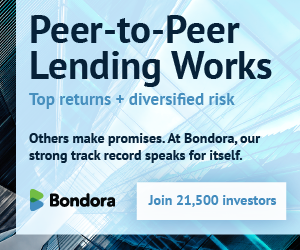 After all, this is a trillion dollar market and LendingClub is at the forefront of the new movement that is peer to peer lending. To start with, let’s look at how the stock performed through a day and a half of trading – keep in mind retail investors were offered shares at the IPO price of $15. Since I’m looking at investing in more real estate, I decided that having the cash now was an important factor for me – so I went with the second option. I waited for the stock to rebound a bit in the afternoon and sold 150 shares at $23.90. This almost makes up for the $3750 of the 250 shares I had originally invested. I plan leave the rest of my 100 shares alone for the foreseeable future. I’ll reevaluate after a year when selling won’t result in short term capital gains. You can see now that at the time of writing this that the stock has fought back to over $24. At the end of the day, it’s important to make a decision that you can live with. I give a lot of credit to folks who can trade stocks profitably – even yesterday (although exciting) was stressful as I considered all of my options. This has confirmed my belief that index funds are a much better option for me. So where do we go from here? LendingClub is sitting on a pile of cash and my guess would be more aquisitions and an expansion of product offerings. We recently saw that LendingClub is starting to offer super prime loans, which is probably only a start. There are many other opportunities for them to get involved in as well as other p2p lending companies that may be attractive for an acquisition. I can’t help but smile when I see pictures recapping the IPO and I’m proud to be an investor and shareholder in LendingClub. I think the best is yet to come, not only with LendingClub, but also the rest of the peer to peer (or marketplace) lending industry. you are smart . I will wait for the stock reach 100%, then I will sell half of 250 shares i got. and let it play out self. that way, I will at least have my principle back no matter what. just my strategy. Thank you for your insights and great advices. It’s good to have a plan, I always like to say that no one will ever say you made a mistake by taking profits – just stop checking the stock after you sell. I’m much happier now that I’ve liquidated the rest of the stock holdings I had from awhile ago. LC is the last one and I’m happy to ignore it on a day to day basis. I believe loss limit orders can be beneficial to lock-in returns as well, although I’m not positive if that is the exact term. When do you think we will get getting announcements about new states allowing investing in LC? I’m from NJ and based on my understanding LC investing is *technically* legal here now. Mike, have you read this from LendAcademy? It outlines some alternative outcomes on what you are talking about which is the blue sky law – it isn’t as cut and dry as many people think. I did see that Peter tweeted an email screenshot that investing is now open in Massachusetts, so perhaps more will be added sooner than we think. Hopefully that helps! if you sell within 15 days aren’t you a “flipper”? and will get banned for 180 days for ipo? Al, you are absolutely correct. However, I don’t plan to participate in another IPO. I made an exception for LendingClub as I thought it was a unique opportunity. In general, I feel that picking stocks is risky and you aren’t likely to beat a simple index fund. IPOs (from what I’ve read) tend to be even more risky. Great article Ryan. Like you, I’m proud myself to be an investor. It’ll be interesting to see what they do with all this cash.